Who Needs Amazon or Wal-Mart? Wal-Mart and Amazon have become America’s main conduits for cheap, mass-produced goods from China’s factory floors. But who needs them anymore? I am holding in my hands a men’s down jacket with fur trim, sent four days ago direct from a warehouse 67 miles west of Shanghai. The $52.19 jacket won’t be confused for Prada. The fur appears to be “fur.” It came out of the box smelling like plastic and solvent. What the jacket represents is far more interesting: It’s the final and direct link between China’s manufacturers and the global consumer. In the same way Chinese companies took over the production of goods, they are now increasingly capable of merchandizing those goods, using the Web and modern freight transport. Bentonville, you are being outsourced to China, too. This is in part why China’s Alibaba has a $268 billion market capitalization. And it’s why United Parcel Service Inc. recently bought a company called i-parcel, to help U.S. suppliers penetrate the thickets of customs, fraud and language that still exist. “More retailers will have to recognize that if they stay only within their country boundaries, other merchants will compete from outside their country boundaries,” Mr. Brill said. 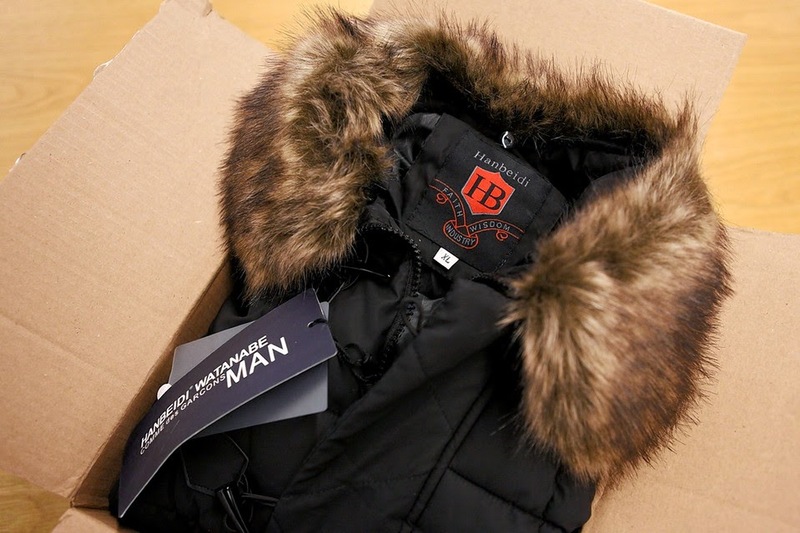 The jacket came via LightInTheBox , a Beijing company listed on the New York Stock Exchange. Run by Chinese with deep experience in America, the site can shapeshift into 27 different languages, from Arabic to Bahasa to Swedish, and ship goods piecemeal all over the world. For the 12 months ending in September, LightInTheBox sold $349 million of merchandise, a 25% increase from the year earlier. It is still far from profitable, posting significant operating and net losses. Its stock has fallen 23% this year. The 1,800-person company has since moved from dresses to other categories, ones in which it can sell what Mr. Guo described as differentiated goods. Think Target, he said, more than Wal-Mart. That means things like my jacket, sold under the bizarre brand name Hanbeidi. It means faucets with LED lights, as well as makeup brushes, wigs, iPhone chargers and crocheted table linens. In essence, it’s the full run of China’s factory floor, some 700,000 separate items in all. Much of this stuff is available from dozens of sites around the Web. What makes this significant is that the Chinese are selling it directly to consumers now—no Western middleman required. Today about 60% of LightInTheBox revenue comes from Europe, much of it from countries in bad economic straits. An additional 20% comes from North America. The market with the highest conversion rate? Greenland. “I don’t need to know anything about the market, but I can serve that market and consumers because we are using a lot of data. We are trying to use data to predict product trends and channel it back to the supply chain,” Mr. Guo said. For instance, its closeness to suppliers enables it to keep inventory relatively low, taking only the most popular products onto its books. It can get many of its less-popular products from suppliers within 48 hours. The real change in world markets is how technology is connecting China directly to consumers. The company employs customer representatives in each of the 27 languages. There aren’t a lot of Danish speakers in China, of course. So instead it employs part-time workers from all over the world, training them over the Web, and then getting them to use the Web to make calls and do email. So it was after 9 p.m. when I got a call from a Chinese LightInTheBox sales rep named Sasha direct to my cellphone from a California area code. She wanted to know if I was satisfied with my order. It was the kind of thing J. Crew would never do, and it felt creepy, and perhaps a breach of U.S. do-not-call laws. Mr. Guo said later that he would study the appropriateness of the calls. Still, there was something out-of-body about the whole thing—dealing directly with a company in China, so long just an anonymous supplier. “I would guess 10 years from now, buying from anywhere in the world will be a very natural thing. There will be a generation of consumers that won’t feel the boundaries of shopping at all,” Mr. Guo said. Who knows whether LightInTheBox will be a lasting competitor. It doesn’t matter. Looking at my coat, bedecked in Chinese labels, we do know the future of retail: It will be a global war of all against all. 2015 Resolution: Leave the Gun. Take the Cannoli. Which Wallet Matches Your Personal Style? You Need a Signature Look. Here's Why. Why is This Tea is Worth $45?